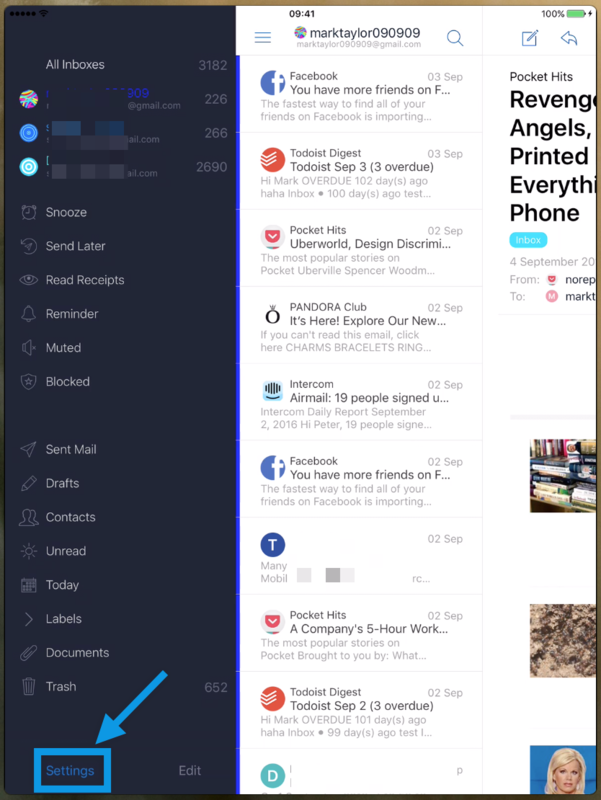 In Airmail, you can easily create the signatures for your accounts, so that they are automatically shown each time you compose a new message. 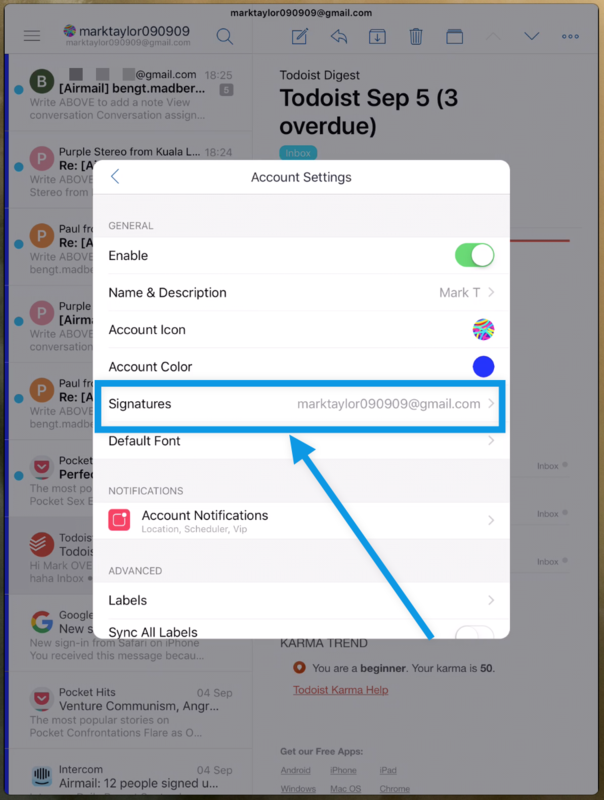 To create a signature for an account in Airmail, please follow the steps described below. 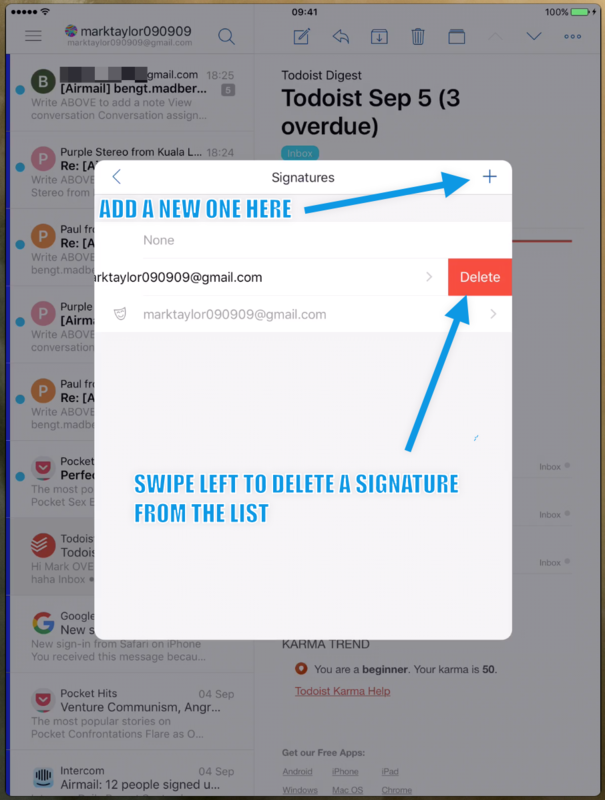 Then choose the account for which you want to create a signature as shown in the picture below. 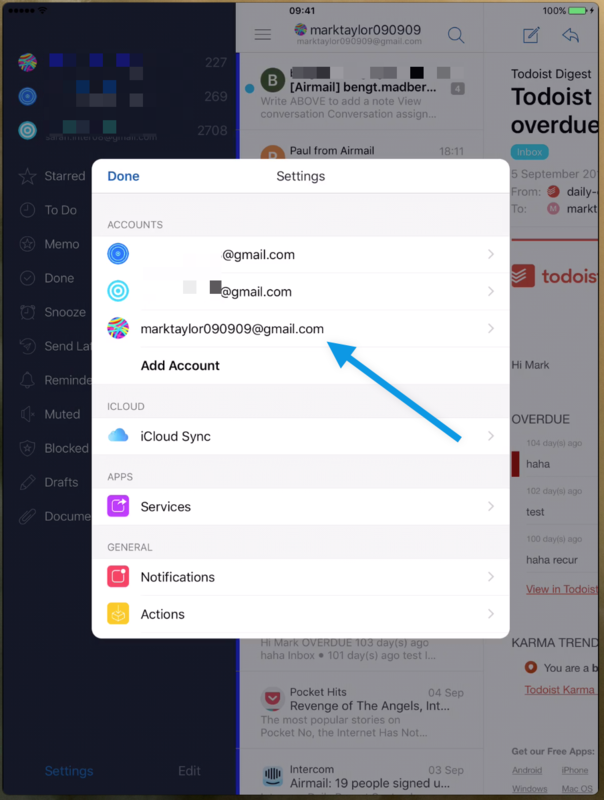 Then, choose the option &apos;Signature&apos; from the list of account settings as shown in the picture below. This will lead you to the list of the signatures for this particular account and you can choose to edit them or make new ones. Please refer to the picture below for more information. If you choose to create a new signature, this will take you to the following composer for the signatures. Please refer to the picture below. 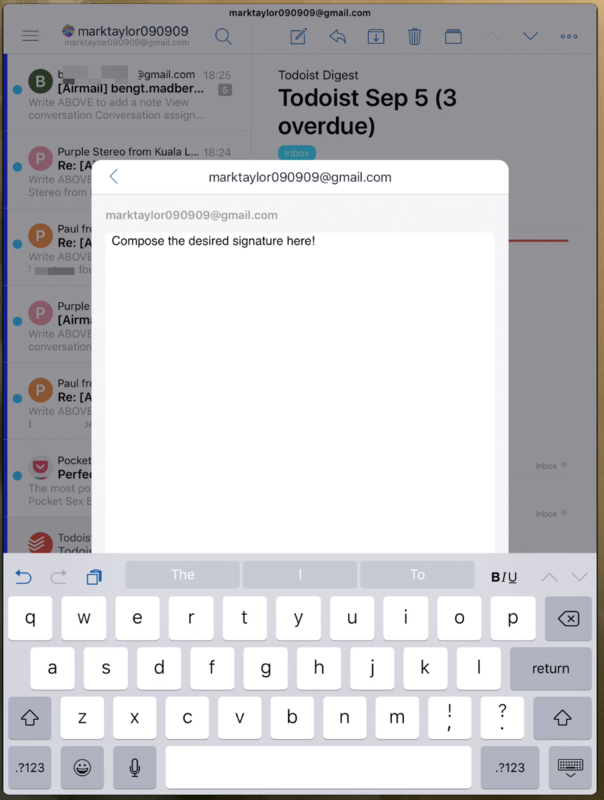 Note: Font Style and colour editing are not allowed while creating a signature in the iPad version, the signature can be created only in the default font.